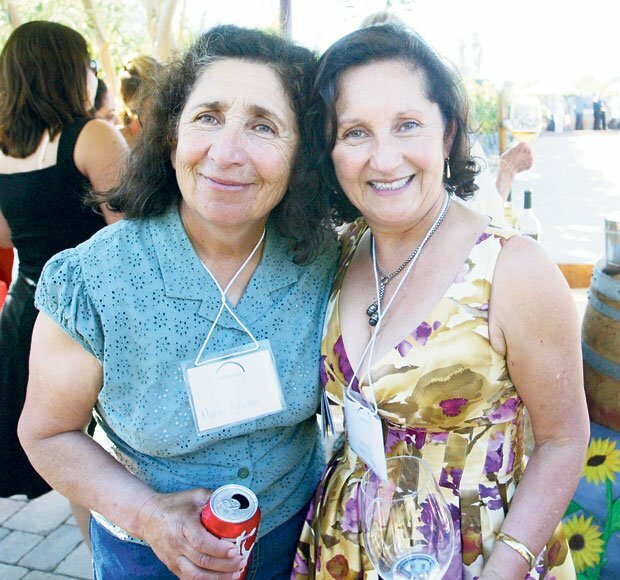 Vintner Amelia Ceja, right, welcomed her sister, Maria de la Luz, along with several hundred guests attending the fundraising fiesta in Carneros last Saturday afternoon and evening. Amelia Gonzalez, owner of Casa de Chocolates in Berkeley, provided samples of her hand-crafted chocolates at the fundraiser. A young organization uniting two major North Bay wine regions, the Napa/Sonoma Mexican-American Vintners Association has a lot on its plate. Not only is it beginning to flex its marketing and political muscles, the new “alianza” has charged itself with inspiring youth and supporting those just getting into the wine business. The group put on its public face last weekend at its second annual fundraiser held at member Ceja Vineyards in the Carneros district. The event honored students enrolling in industry-related and other college programs as well as politicians who’ve helped the Mexican-American wine industry with favorable legislation and endeavors. 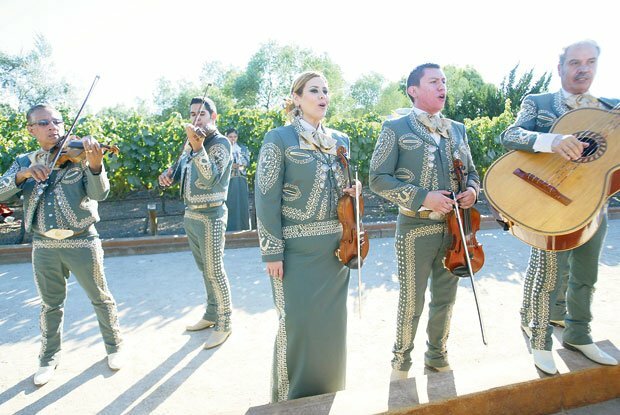 Saturday’s “Alianzas” brought together the dozen members and several hundred friends for an afternoon of food, wine, silent auction and entertainment that ran the gamut of mariachi band to samba dancers. “We have shared experiences and similar backgrounds,” Rios pointed out during brief ceremonies that recognized the contributions of Rep. Mike Thompson, D-St. Helena; Assemblywoman Mariko Yamada, D-Davis; and Napa Mayor Jill Techel. Thompson lauded NSMAVA for promoting education and for providing student scholarships. • Napa High graduate Maria Inez Vivanco, who plans on a career in psychology working with children. • Not present was Sonoma County’s Alejandra Quiroz, who plans to attend Santa Rosa Junior College. Members of the Napa/Sonoma Mexican-American Vintners Association include Alex Sotelo Cellars, Ceja Vineyards, Delgadillo Cellars, Encanto Vineyards, Justicia Wines, Maldonado Vineyards, Marita’s Vineyard, Mi Sueño Winery, Renteria Wines, Robledo Family Winery, Voces Wines and Volcan Cellars. A spokesman for the organization said Saturday’s Alianzas celebration raised more that $30,000.